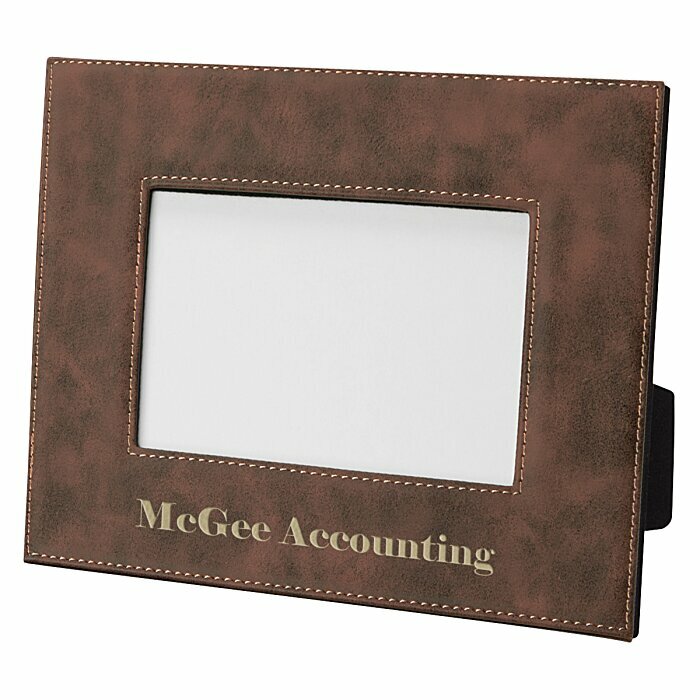 Stitched Picture Frame - 4" x 6"
Frame your brand perfectly with these imprinted frames! Each picture frame is made with faux leather edges for a stylish look. Contrast binding adds durability and style to these imprinted frames. 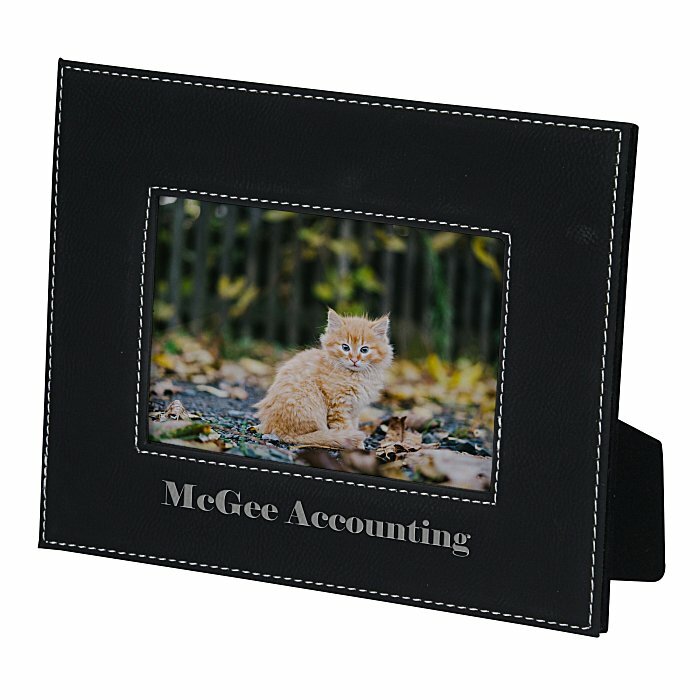 Frames include four swivel tabs that help to keep your picture in place. 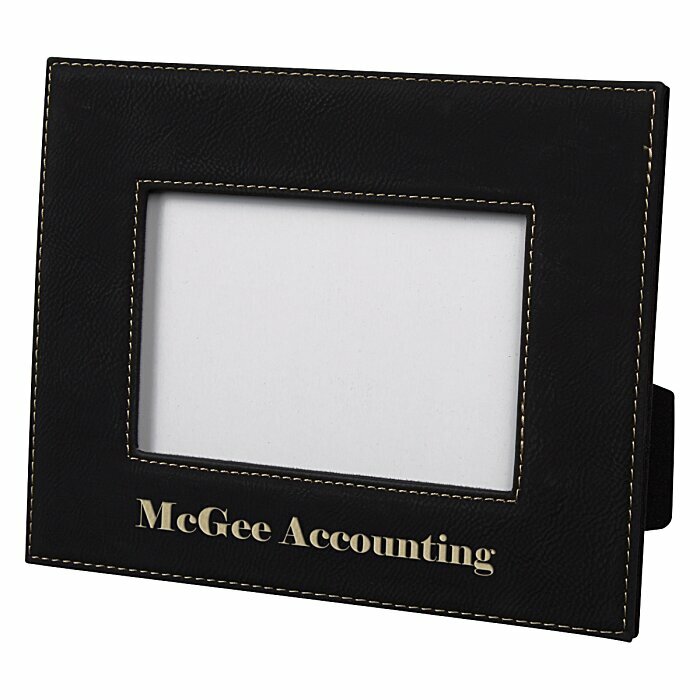 Picture frames are complete with a foldout easel for horizontal/vertical display. Size: 6-7/8" x 8-3/4" x 5/8". Your price includes a laser engraved imprint along bottom of frame.